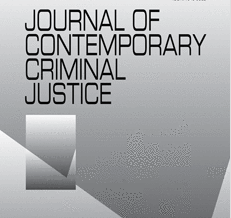 by Victor Yasmann and J Michael Waller, Journal of Contemporary Criminal Justice, December 1995. The approach of the United States and other Western countries to helping Russian authorities fight organized crime has been based on an assumption that Moscow has the political will or sincere interest to wage such a battle. When analyzing the Russian government’s approach to fighting organized crime and the institutional bureaucratic corruption that has allowed the so-called mafiya to flourish, it becomes apparent that the country’s political, economic, security, and law enforcement elites fundamentally are part of the problem. It is not an accident that the Russian government readily has adopted the Western model of organized crime as a phenomenon at the fringes of political and economic society. In the Russian Federation, the opposite of the Western models is true. The country’s ultra-bureaucratized administrative system, its lack of adequate laws, and its lawless sovietized culture have combined to merge rampant government corruption not only with organized fringe criminal groups, but with highly organized, regimented, and disciplined structures at the core of the system. The individuals who headed and ran these structures suddenly found themselves in possession of vast material, human, and administrative resources. They attached themselves as parasites to legitimate entreneurship as the Soviet system collapsed and market structures developed. This parasitism finds its roots in the earliest years of the Soviet state, when the Bolshevik secret police, the All-Russian Extraordinary Commission for Combating Counterrevolution and Sabotage (VChK or Cheka), smashed private business, market activity, and property rights by confiscating the citizens’ private property, arresting and murdering tens of thousands of individuals for conducting any form of trade or barter, and helping the Communist Party collect and catalogue the spoils for the use of the new ruling elites or for exportation for hard currency abroad. As the Cheka developed into what became known as the Committee for State Security (KGB), the organization increasingly served the systematically corrupt Communist Party nomenklatura (Simis, 1982; Voslensky, 1984). The Soviet collapse did not break the Cheka-KGB continuum. Today’s Russian security organs have carefully maintained the “chekist” legacy, glorifying the Cheka in the country’s history, continuing institutional reverence to Cheka founder Felix Dzerzhinsky, preserving the Cheka’s sword-and-shield crest and other symbols as their own (as has the federal State Procuracy), and pointedly referring to their own officers as “chekists” (Waller, 1994: 9-34). Russian leaders have begun to acknowledge that the greatest clear and present danger to the security of society and indeed, of the Russian state itself, is internal corruption and crime. Ironically, the services responsible for “state security” are more a part of the problem than the solution. The Ministry of Internal Affairs (MVD) and the successor agencies to the KGB not only have allowed themselves to become corrupted within at every level of their bureaucracies, but as matters of policy have deliberately taken on economic and business roles which place the services in positions that invite large-scale manipulation of wealth that run counter to their legal obligations to fight crime. Furthermore, impunity is endemic to chekist bureaucratic culture. A Russian parliamentary investigator (Ryabov, 1991: 25) found after interviewing state security officers throughout the ranks, “They have no understanding in their minds that they are serving the constitution or the law; they have no reverence for the rule of law and citizens’ rights.” How a kleptocracy could develop as quickly and broadly as it has in Russia, under the watchful eye of as all-powerful a punitive organization as the KGB and its successors, becomes apparent when examining the chekists’ ties with legitimate business, government corruption, and organized crime. Over the past two years, leading politicians, including President Boris Yeltsin and the heads of each house of parliament, State Duma Chairman Ivan Rybkin and Federation Council Chairman Vladimir Shumeiko, repeatedly postulated that the criminalization of the Russian government and society poses the principal threat to the country’s national security. The MVD and other institutions published numerous analytical reports. One of the most recent, “Economic Crime and the Security of Citizens, Society, and the State” (1995) was prepared by Federation Council Deputy Chairman Aleksandr Dolgolaptev, Committee on Security and Defense Chairman Petr Shirshov and Deputy Chairman Petr Premyak, and Aleksandr Gerasimov, chief of the Department of Administrative and Criminal Legislation of the chamber’s Legal Administration. The authors of the report admit that they do not know of effective countermeasures to confront the menacing problem they describe. Neither do the Western powers whose aid policies are intended to promote democratic, market reforms. Journalists and scholars (Vaksberg, 1991; Sterling, 1994) have described Western-style organized crime in the former Soviet Union and its new global reach, and some have recognized that the old Communist Party nomenklatura, bureaucracy, and the so-called “power ministries” of Defense, Internal Affairs, and various former KGB security organs, have emerged as Russia’s largest corrupt and criminal class. Journalist Stephen Handelman (1995) depicts today’s organized crime situation most stunningly in his new book, Comrade Criminal: The Theft of the Second Russian Revolution. He also presents the ruined morale of the honest Russian law enforcement officers who tried to combat post-Soviet organized crime as soon as the Communist Party collapsed, but were denied the legal and material tools, both by the Yeltsin government and by Western assistance programs. Several books recently published in the former Soviet Union also tend to confirm Handelman’s evidence and conclusions. Mafiya: Unannounced Visit by MVD Colonel Vladimir Ovchinsky (1993) demonstrates the knotting of the corrupt state bureaucracy and the criminal underworld. The book contains several anti-Western passages, but in general provides an adequate view of the criminalization process in the last years of Communist Party rule. Reknowned film director and Democratic Party of Russia leader Stanislav Govorukhin, in his book Country of Thieves (1994), reveals the consolidation of the old nomenklatura and young, upscale “New Russians” into a powerful criminal class, and discusses the global dimension of their activities. Govorukhin made a name for himself in 1993 after releasing his film, “The Great Criminal Revolution,” about the economic transition from communism. Significantly, neither his film nor his book have found their way to a broad audience in Russia. The film was effectively banned from cinema and television screening, while the book was published in Estonia. The structure of the Russian criminal world and its penetration into law enforcement agencies are demonstrated in Red Mafiya, by MVD Major General Aleksandr Gurov (1995). Gurov, who founded and led the MVD Administration for Combatting Organized Crime, was squeezed out of the MVD and later from the Federal Security Service (FSB), which comprises most of the KGB’s internal security units. The reason for his forced retirement, he says with irony, is that his attitude toward organized crime “hampered economic reforms.” Finally, Georgy Podlesskikh and Andrei Tereshonok prove in Thieves In Law (1994) that organized crime in the Soviet Union and Russia was and remains to a great extent under the control of both the MVD and the KGB and its successor services. Based on internal KGB documents, the authors show that the MVD and KGB, for different purposes, “supervised” and influenced organized crime and directed its activity and channels far beyond the borders of the former Soviet Union. Like the works of Handelman and the late American investigative journalist Claire Sterling, the new Russian publications show how the West and most United States officials at best have failed to comprehend, and at worst are ignoring, two important phenomena. First, the powerful surge of corrupt and criminal activity, which Govorukhin aptly calls the “Great Criminal Revolution,” is not just a new dimension of organized crime. In the words of Aleksandr Solzhenitsyn (1992), the revolution is “An amalgam of former Party functionaries, quasi-democrats, KGB officers, and black-market wheeler-dealers, who are standing in power now [and have] represented a dirty hybrid unseen in world history.” By its scale, global reach, and devastating potential, the Great Criminal Revolution poses not only a menace to what remains of economic and political reforms in Russia and other former Soviet republics, but presents a strategic threat to the interests of the United States and the other industrialized democracies. The second phenomenon, what is often seen as a “spontaneous” development of Russian organized crime, in many instances is a process unleashed by the communist/state security oligarchy, and in important respects is guided by them. The greatest growth of organized crime and corruption in Russia is produced by the financial and banking sector. As this article attempts to demonstrate, the business sector contains a deep concentration of former high-ranking KGB officers who steered its creation and development in the late 1980s and early 1990s and merged large portions into the criminal underworld. Lack of accountability has allowed the near-thorough corruption of the law enforcement and secret services as they penetrated traditional organized criminal groups. The MVD had primary responsibility in the decades through the Brezhnev regime, but it had become so corrupt that longtime KGB Chairman Yuri Andropov, who succeeded Brezhnev as Communist Party General Secretary in 1982, directed the KGB to reimpose direct control over the MVD the following year. Podlesskikh and Tereshonok (1994) find that Andropov created a new directorate called “V” within the KGB Third Chief Directorate to supervise and control the MVD. Although the KGB historically controlled the MVD in overt and covert form, the scale of corruption in the early 1980s prompted a strictness of control not seen since the early Bolshevik period when the militsiya was run by the VChK (Cheka) and its successor, the OGPU. At the same time, according to Podlesskikh and Tereshonok, who cite internal KGB documents as sources, the KGB had renewed its old practice of directly working with and recruiting criminal chieftains, a practice which the KGB had relegated for decades to the MVD. Penetrating more deeply within the corrupt MVD structure and the criminal underworld, the KGB concluded that the degree of corruption within the MVD exceeded the threat posed by organized crime. As a result, the KGB restored the old Cheka tradition of “relying on criminals in combat” against “enemies of the people,” which in the eyes of the chekists, were corrupt MVD officers, Communist Party officials, and state administrators. striving for total control on all dissent and deviating behavior, the KGB simply could not have missed paying attention to Russian organized crime. By putting organized crime at its service, the KGB gained tactically, but lost strategically, by advancing and consolidating the ‘horrible mutant,’ the modern professional underworld. . . . And in contrast to the ‘world proletariat,’ about whom the Kremlin’s adventurists dreamed, the criminal clans of all countries are indeed moving to the quickest unification. Until the late perestroika period, the MVD was primarily responsible for combating common economic crimes, and had the largest caseload of any agency in the Soviet Union. The most authoritative individual to have seen the situation firsthand was Vadim Bakatin, the reform Communist who headed the USSR MVD from 1988 to late 1990, and who was tapped to lead and attempt to dismantle the USSR KGB after the 1991 coup attempt. Bakatin (1992: 46) noted in retrospect that the lavishly funded and bloated KGB was often a “waste of time and personnel,” while the poorly equipped MVD was severely overburdened. He found that in the KGB Investigation Department, each investigator had a caseload of 0.5 cases per year, while the average investigator in the analogous MVD department had more than 60 cases annually. While the MVD bore the brunt of attacks for its inability to fight crime, the KGB suffered from no such image problem. Russian Federation MVD Minister Viktor Barannikov (December 31, 1991) commented, “Why did the KGB get involved in [fighting crime] at all? Its leaders simply felt that sooner or later they would be asked for concrete results, for something real done in the state’s interests. . . . and so crime was needed.” Despite the vast legal, extra-legal, and technological tools the former KGB has at its disposal, it has done virtually nothing to dent organized crime except in selective instances involving political opponents, certain ethnic groups, and “unauthorized” criminals. Fighting organized crime is one of the major new public relations themes begun by KGB Chairman Vladimir Kryuchkov that its successor services maintain today (Waller, 1994: 221-276). consideration of ways and means of establishing a bank controlled by the Central Committee with the right to conduct hard-currency operations, the investment of the Party’s hard-currency reserves in international firms controlled by friends of the Party; . . .
the party moved abroad at least 60 tonnes of gold, eight tonnes of platinum, 150 tonnes of silver, and in the safes of Western banks are stored resources of the Communist Party amounting to from 15 to 50 billion dollars. There are significant violations with valuable metals which have shown up in the State Repository for Precious Metals. Gold bullion, for example, was provided to the KGB. On October 30 of , the KGB was given 502 kilograms of valuables. Among this were gold bullion, gold American dollars [sic] stored for some special operations, and they were not returned in time, a gold brooch with 31 diamonds, a gold ring with 20 diamonds, a gold brooch with 12 diamonds and two emeralds, a gold necklace with 104 diamonds, a gold brooch with 60 diamonds, and so on. They received, by the way . . . and there is a basis to think that the Moscow Special Alloys Plant did not fall outside the KGB’s attention, and naturally, that of party functionaries. There is an opinion that in 1990, a contract was made between the Glavalmazzoloto [Main Industrial Association for Gold and Diamonds] and the South African DeBeers Company for sale of 59 percent of the diamonds mined through 1995, and this was done with the intent of hiding the transfer of hard currency through third parties into secret party accounts. . . . There were flagrant violations in the State Repository for Precious Metals, and yet the same people are retained in their posts under the Russian structure. Yeltsin failed to comply. Primakov persuaded Supreme Soviet Chairman Ruslan Khasbulatov to terminate the investigation and disband the commission. Yeltsin, meanwhile, had gone public with requests for the West to help Russia recover the lost billions, hiring the New York-based Kroll Associates to track down the funds. But he would not countermand Primakov, and Kroll, after meeting dead ends, quit in early 1994. A Kroll investigator told the press that the firm’s findings raised “suspicions about certain players and institutions [in the former Soviet Union]. Our problem is that when we sent it to Moscow, it was never followed up” (RFE/RL, February 7, 1994). Drug smuggling. Persistent Western allegations and investigative reports of drug smuggling by the KGB and organizations under its control, long dismissed or unappreciated in the West (Somer, 1984; Ra’anan, et. al., 1986; Douglass, 1990; Ehrenfeld, 1990), were raised from a far different source in 1995, when a group of former KGB and GRU officers concerned with corruption issued a report accusing several former KGB generals of creating and operating an international drug trafficking ring in collaboration with Moscow city officials and banks. The anti-corruption group, which calls itself “Felix” after Cheka founder Dzerzhinsky, was set up just before the disentegration of the Soviet Union in 1991 to investigate economic crimes, and first went public in December, 1993. It claims to consist of approximately sixty professional KGB and military intelligence veterans with experience abroad and trained for special operations and terror. Felix members claim not to serve in the present security services but in other government agencies, united by common purpose and determination to reverse Russia’s free-fall into corruption and crime. Since going public, Felix provided several of its “research reports” to various Russian newspapers. Usually the reports are signed with the pseudonym “Ivan Ivanov, intelligence officer,” and many contain patently false, inflammatory material of a nationalist bent. Some Felix reports contain “revelations” about the October 1993 attack on the Russian parliament building, allegedly in conjunction with Israeli special units, or about Western plots to destroy Russia’s nuclear potential. Rhetoric is also aggressive; a paper on NATO expansion called for Russian re-occupation of the Baltic states, and a Felix member openly proposed assassinating Prime Minister Viktor Chernomyrdin and former KGB First Deputy Chairman Filipp Bobkov for their allegedly corrupt activities he blamed for destroying the country. Nevertheless, much of the material put out under the Felix name appears to have been prepared with sensitive information from the security and intelligence services. One such example is a report (“Felix,” 1995) published by two diametrically opposed newspapers, the pro-imperial and ultranationalist Zavtra, and the liberal Segodnya, and cited in 17 other Russian publications. The report directly accused former KGB generals of creating and running an international narcotics trafficking operation, and casts General Bobkov with the central role. This particular Felix report was taken seriously by independent Russian journalists who managed to corroborate enough facts to convince them of its general validity, and some of its authors were invited to present a book about international drug trafficking at the Center for Defense Studies of King’s College at London University (Vetrov, April 11, 1995). Bobkov until recently was a key adviser to Most financial group chairman Vladimir Gussinsky, and is reported to have been behind many other financial institutions linked to Moscow Mayor Yuri Luzhkov and Prime Minister Chernomyrdin. Bobkov was for many years the second-ranking official in the KGB and was reputed to be its chief ideologue. Under KGB Chairman Andropov, Bobkov created the notorious Fifth Chief Directorate responsible for persecution of dissidents. He was also known as the grand master of political surveillance, who during his 40 years in the service directed an enormous secret informer network among the intelligentsia and the media. He left the KGB in 1991 after being blamed for the bloody crackdown in Vilnius, Lithuania, and joined the Most Group as chief of its advisory council. Very soon, the mid-size bank appeared in the limelight and its young chairman, a Komsomol organizer, was recognized as one of Russia’s most influential bankers.
. . . the officers who joined this group had extensive experience in intelligence, combat, and analytical covert work, as well as purely personal connections in many countries of both the near and far abroad. In addition, at the time they alrady had fairly good contacts with their former colleagues who had gone into business and banking, including dealing with foreign countries. As a result, the group’s founders had ample opportunities to organize international channels for moving drugs, using in this regard legal business mechanisms, access to the banking systems of other countries (especially Great Britain, Luxembourg, Switzerland, Gibraltar, Cyprus, the Bahamas, and the Antilles), as well as money laundering and income-hiding. At the same time, other KGB officers took the Russian banking system under their “protection.” According to Vitaly Sidorov, director of security of the Association of Russian Banks, about half of the private security chiefs in the country’s banks are former KGB officers; another quarter are from the MVD, and the remainder are military and GRU military intelligence officers. Sidorov himself is a former KGB general. Felix (1995) alleges that Bobkov and his comrades began manipulating the banks they penetrated to launder money from narcotics trafficking in an enterprise with former KGB officers who had worked in Burma, Cambodia, Laos, and Korea in the 1970s and 1980s. Today, the operations are reported to center mainly at the Russian naval base at Cam Ranh Bay, Vietnam. At the final stage, according to Felix, the “Moscow narco-group,” as a new entity, set up connections with Italian, Romanian, Colombian, Peruvian, and Cuban trafficking networks. As with narcotics production in Southeast Asia, the “Moscow narco-group” paved the way for drug trafficking from Afghanistan via Chechnya and Russia to the West, according to Felix, which describes how warring factions were used in the smuggling and laundering processes through early 1995. Some Moscow narco group members “were still active service officers of the security services of Russia and the CIS,” as they moved large quantities of narcotics to North Africa, Europe, and the United States. The Felix report appears to combine genuine facts with intentionally planted disinformation. It is clear that the report’s authors would like to project the misdeeds of former KGB generals-turned-liberals on all Russian reformers. One member of the Felix group said in an interview (Baranov and Lyashko, July 7-14, 1995) that the report was prepared because “it became simply impossible to act in the usual way inside the organs,” and the problem had to be made public to “influence decision making.” If corrupt politicians, businessmen, and journalists were not prosecuted and convicted through such revelations, he explained, the Felix group would follow by assassinating suspected culprits, including top government officials. The Felix drug report appears to provide some answers to questions being asked in Russia: What is behind the many the strange twists and turns of the Chechnya war? Why has no one from the scores of professional assassinations of journalists, businessmen, and bankers been arrested and tried? Why has the government’s fight against organized crime been so feeble, and the Russian elite so tolerant of the problem? And why, as some liberal mass media in Moscow maintain, must organized crime be used in combat against other forms of crime and against a rise in fascism? The Felix document, despite its many faults, leaves little doubt that present and former top KGB officers in Moscow still play important political and criminal roles in society, and not just among the revanchists. Continued theft of Western business and financial information. In this context, the Russian government is continuing the Soviets’ business and financial espionage offensive against the West. Because of the lack of checks and balances, the lack of distinction between the security and intelligence services and private business, and the widespread corruption and criminality within the services, this espionage offensive is particularly dangerous to both Russian reform and Western security because it is completely vulnerable to exploitation by organized crime. It also blurs the distinction between Russian intelligence threats and criminal threats to the West. The Soviet espionage offensive redoubled in 1989, as the CPSU increased the establishment of front companies, joint-stock enterprises, and joint ventures, and as KGB officers began ensconcing themselves in the leaderships of these firms. A secret KGB training and operations manual published that year noted that “active reserve” or “operational reserve” officers no longer needed to mask their identities when approaching foreigners; indeed, it was becoming an asset to announce one’s “former” career in the KGB because foreign businesses thought it attractive–chekists could provide security and get things done like no one else. The manual stated, “Sometimes, the fact that an officer has been identified [as KGB] does not have to represent an obstacle to his work in an agency, if he really is a competent specialist whose area of expertise corresponds with the mission of the specific agency, and is therefore capable of exploiting the trust of foreign colleagues” (KGB, 1989: 17). Western firms wishing to do business were required to form a joint venture with Soviet companies. By 1992, according to one report (Rahr, February 25, 1994: 28), about 80 percent of all joint ventures in the Russian Federation involved KGB officers; some American businessmen estimate from their own experience that approximately three-fourths of Russian joint ventures include KGB officials. Russia has continued the Soviet custom of placing a ranking KGB officer in top positions, usually at the deputy director level, in medium and large state and semi-state enterprises (Yasmann, March 21-23, 1994: 10-11). Penetration of private companies has already been described. Some KGB businessmen interviewed acknowledge that they receive support from their active-duty colleagues (Kryshtanovskaya, 1993: 8). Western businesses’ reliance on KGB officers in the former Soviet Union is so strong that some business organizations are reluctant to warn their members, for fear of alienating the chekists. The editor of Russia Business Watch, the official newsletter of the U.S.-Russia Business Council, commissioned one of the authors to write an article about Russian espionage threats to American business for publication. However, after the article was edited and accepted for publication in the June 1994 newsletter, higher-ups in the Business Council pulled the story just as it was going to press. The author was told that it was “not in the interests of our trade council to run a piece on industrial espionage.” The reason, U.S.-Russia Business Council staffers and officials privately acknowledged, was because the article might provoke chekists involved with Council patrons. The espionage targets would be relatively soft, according to the manual (KGB, 1989: 43), because they had “an interest in concluding favorable deals with Soviet foreign trade organizations or joint projects with Soviet scientific organizations, especially for the purpose of ultimately achieving a material advantage.” The intelligence objective is not only political or military, but is to help preserve old markets from Western encroachment (Kalugin, March 10, 1994) and benefit Russian industries and businesses tied to the established nomenklatura agricultural, energy, and military-industrial sectors. Signals and communications intelligence facilities are also utilized for business purposes. The former KGB Eighth Chief Directorate and 16th Directorate, now known as the Federal Agency for Government Communications and Information (FAPSI) controls Russia’s physical communications systems, including government telephone lines, high-frequency communications, and cryptography services. FAPSI announced its intentions to offer and solicit entrepreneurial ventures and would lease closed communications channels to financial and business groups (Rossiyskaya gazeta, December 28, 1991). In 1995, President Yeltsin signed decrees giving FAPSI the authority to monitor, register, and record all electronic financial transactions in the country, and to compel banks and other financial institutions to pay for the service. The money FAPSI raises is divided between FAPSI and a special Fund of the President’s Programs (Moskovsky komsomolets, July 8, 1995). The Russian electronic intelligence base near Lourdes, Cuba, also performs a much greater business and economic role than in the past. When Moscow renewed an agreement with Havana in November 1992 to continue using the facility, the Kremlin sent not a security or military official to sign the pact, but Deputy Prime Minister for Foreign Economic Affairs Aleksandr Shokhin (Fletcher, November 4, 1992). First, the racket; strong pressure, then a KGB proposal to help. After that there are two schemes. On the one hand, it is either penetration of KGB officers into the top leadership of the company, or the leadership of the company got in close contact with the KGB, and the company ceased to exist as an independent commercial organization. Since then, its activity was not controlled by economic laws. As a rule, at first these companies run into some economic difficulties, and then such a commercial organization suddenly begins to receive absolutely fantastic benefits or licenses–for aluminum, zinc, copper, or tomato paste–and begins a strong development. This is the scheme according to which some commercial organizations developed, the scheme of ‘engagement’ of independent enterprises and cooperatives. There are lots of examples, and they are very visible in the market. The insiders immediately know that this organization has become a part of the financial structure of the KGB. Security and intelligence officers, as well as the services themselves, exploit and abuse their authority in order to obtain unfair business advantages. The same is true for military personnel. The murky status of thousands of former KGB officers in the “operational reserve” or “active reserve”–officers who work in government ministries or the private sector in a legitimate capacity, while simultaneously fulfilling a security or intelligence function–does not permit one to know whether or not officers engaged in criminal activity are doing so at the behest of the service, or are freelancing (Albats, 1994: 57, 120-149; Rahr, February 25, 1994: 28; Waller, 1996). While the Russian government has lodged criminal charges against senior MVD and military officers for alleged corruption and criminal activity, most prosecutions were delayed and few were actually tried (Jamestown, 1994: 9). No effective legislative, judicial, or other civilian oversight exists over Russia’s law enforcement, security, and intelligence services (Waller, 1994: 181-220). President Yeltsin’s commitment to fight crime and corruption has been selective and often politically motivated. As Soviet leaders did previously, Yeltsin tolerates crime and corruption when it suits him, and he fights them when politically expedient. Since 1991, he or his immediate subordinates announced no fewer than six major anti-crime initiatives, all of which emerged not as legal but as political campaigns. Handelman (1994: 14) observes, “this was not really a war against crime; it was a war against wild democracy, wild capitalism. The actual mafiya lords, the godfathers of crime, were not touched. Particularly the Russian gangs, the Slavic gangs, who saw it as a way of getting rid of their rivals.” Even more to the point, the “war” was–and is–against the political opponents of Yeltsin and his inner circle of former party bureaucrats and officers from the armed forces, MVD, and KGB. At the street level, it is predominantly a war between those who would become part of the racket, and those who would not. Meanwhile, the state and presidential bureaucracies, including the “law enforcement” agencies, have continued to grow. By early 1995, personnel levels in the government bureaucracy reached 1.66 million, or 1.7 times larger than it was in 1989 (Segodnya, January 13, 1995). This figure excludes the so-called “power ministries” of Defense, Internal Affairs, and the former KGB components. Despite the reshuffling and reorganization of individual ministries and departments, their aggregate sum has experienced numerical growth. By mid-1995, Russia had 14 internal intelligence, security, and law-enforcement agencies (Economic Crime, 1995; Sherr, November-December 1995) with an estimated strength of 1.8 million servicemen. To this number must be added more than 25 thousand private security and detective services which employ more than 100 thousand security officers (Yasmann, 1995). In the last ten years, every Soviet, and later Russian, Minister of Internal Affairs has requested and received additional budgetary means for strengthening the MVD to fight organized crime. From 15.9 trillion rubles allotted in the 1995 budget for the security and law enforcement community, the MVD and its Internal Troops (who fought much of the war in Chechnya) received about 30 percent, while the FSB and SVR received about 12 percent (Segodnya, February 15, 1995; Sovetskaya Rossiya, March 28, 1995). Paralleling the swelling of the security bureaucracy was an unprecedented growth of all types of organized crime. The average officially reported level of criminality has increased 10 times the level of 1991. The bulk of these statistics constitute so-called “economic crime,” which reportedly increased 30 times over the same period. According to the MVD Administration on Economic Crime, whose figures can be used only as a benchmark, crime related to the financial-banking sector increased 42 percent in 1994, with import-export related crime increasing 50 percent, and corruption and misuse of public office growing 59 percent (Nezavisimaya gazeta, February 2, 1995). When internal security chief Viktor Ivanenko, a KGB general, informed Yeltsin in early 1992 of criminal activity within the president’s inner circle, Yeltsin fired him (Albats, 1994: 305; Kalugin). Ivanenko was replaced in early 1992 by longtime Yeltsin crony Viktor Barannikov, a general in the MVD, who made a show of fighting certain organized crime groups but did little objectively to combat the problem or root out corruption within the government bureaucracy and the security services. Barannikov gradually began siding with Yeltsin’s main adversaries, Khasbulatov and Vice President Alexander Rutskoi. When the political break was irreconcilable, Yeltsin fired Barannikov in July 1993, using corruption as an excuse. Despite Barannikov’s lavish display of ill-gotten wealth, the government never prosecuted him (Yasmann, March 5, 1993: 18; Filipov, April 15, 1994). He died two years later. In early 1992, Yeltsin placed his increasingly hostile Vice President Rutskoi in charge of agricultural reform–a responsibility designed to doom Rutskoi’s political career–and later that year named him to lead a state commission to coordinate government anti-crime activity. Commission staff included 50 senior MVD, Defense Ministry, internal security, and foreign intelligence officers, and was empowered to investigate any public official suspected of illegal activity. Yeltsin named Rutskoi’s hostile arch rival, State Counselor Gennadiy Burbulis, to the commission, leading to strong suspicions that the president intended that it be a dysfunctional body (Yasmann, March 5, 1993). Yeltsin appointed Yuri Boldyrev as State Inspector in March 1992 to lead a government anti-corruption campaign. Boldyrev remained politically loyal to Yeltsin, but his probes, as those of Ivanenko, led to members of Yeltsin’s inner circle. Yeltsin fired him within 12 months (Filipov, April 15, 1994; Albats, 1994). Boldyrev’s replacement, Alexei Ilyushenko, directed attention away from Yeltsin’s inner circle to investigate alleged corruption of the president’s chief opponents, including “anti-crime” leaders Rutskoi, Barannikov, and former MVD Deputy Minister Andrei Dunayev (Filipov, April 15, 1994). Moscow mobster Otari Kvantrishvili ingratiated himself with authorities by funding MVD sports teams, a charity to aid disabled Moscow police officers and slain officers’ widows and orphans, and other works. After he was murdered in early 1994, top MVD generals attended his funeral (Baranovsky, April 15-21, 1994: 15; Erlanger, April 15, 1994; Hughes, June 7, 1994). Reformist Finance Minister Boris Fyodorov, after being squeezed out of office in early 1994 by nomenklatura interests, warned the West that economic aid and loans were being “manipulated” to undermine reform, and therefore they amounted to Western “compensation” for government corruption (Fyodorov, April 1, 1994). Less than a year after Fyodorov was forced out, Vladimir Panskov was appointed Finance Minister. In the interim, federal prosecutors investigated Panskov, then first deputy chief of the State Tax Committee, for alleged misuse of public office, large-scale bribe-taking, and forgery of official government documents as part of an effort to grant illegal tax exemptions for his client companies. Boris Uvarov, the chief investigator at the federal State Procuracy, opened the case against Panskov, and issued a warrant under which Panskov was arrested in March 1993. Four months later, however, Uvarov was removed from the investigation. The case was suspended and Panskov was released from custody and received a position in the presidential administration. The new investigator appointed by Acting Procurator General Ilyushenko found no wrongdoing on the part of Panskov. In May 1994, Uvarov obtained new testimonies of Panskov’s alleged misdeeds and unsuccessfully tried to renew the case. In December 1994, President Yeltsin unexpectedly named Vladimir Panskov as Finance Minister and incorporated the position into the Russian Security Council. All legal procedures against him were withheld on Ilyushenko’s orders. In June 1995, Uvarov was sent into retirement (Izvestiya, March 12, 1993; Rossiyskaya gazeta, March 13, 1993; Vek, No. 4, 1995; Komsomolskaya pravda, September 28, 1995). In October, President Yeltsin fired Ilyushenko after months of public outcry against the chief prosecutor’s use of the procuracy to attack political opponents, his alleged protection of corrupt family members, and his failure to prosecute mobsters and corrupt officials. Russia has become what President Yeltsin termed a “superpower of crime” not merely because of the absence of adequate laws or the supposed robber baron period through which some apologists say is a natural stage of economic development, but because of the inherently corrupt nature of its law enforcement, security organs, and intelligence services. Paradoxically, it is those very organizations upon which the Russian government, the Russian people, and the West are relying to fight corruption and organized crime. The mafiya is flourishing on the vast resources of the former KGB. There are indeed capable and honest professionals in those services, as shown by those whose careers and even lives have been sacrificed. These individuals, do not control the services today, and without political will at home and pressure from abroad, they are unlikely to for the foreseeable future.